If you’re a foodie and you love photogenic and Instagrammable food, this post is for you! 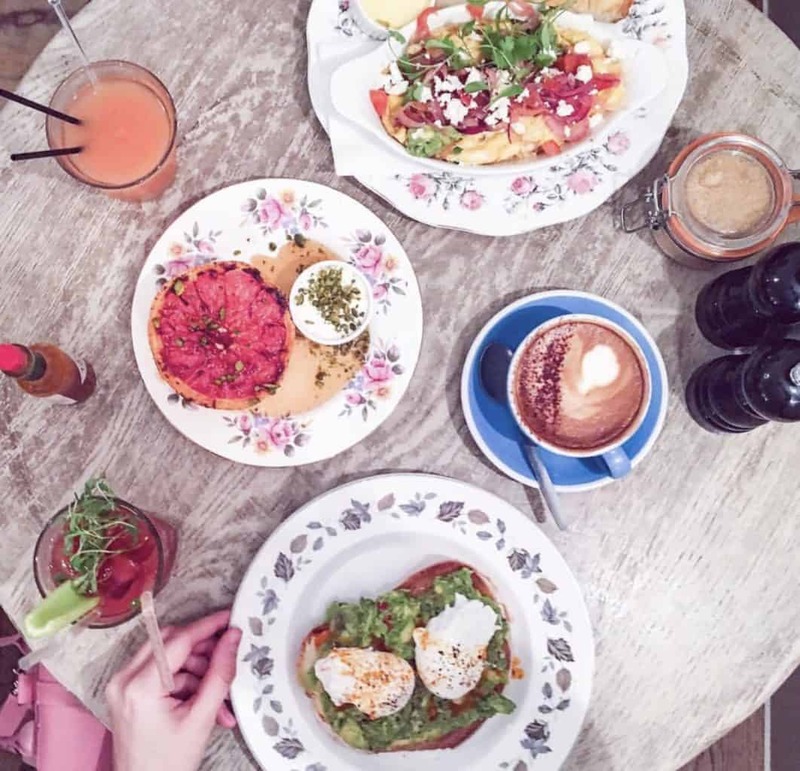 I will tell you about 15 fabulous Instagrammable restaurants in London that are the best spots for foodies. 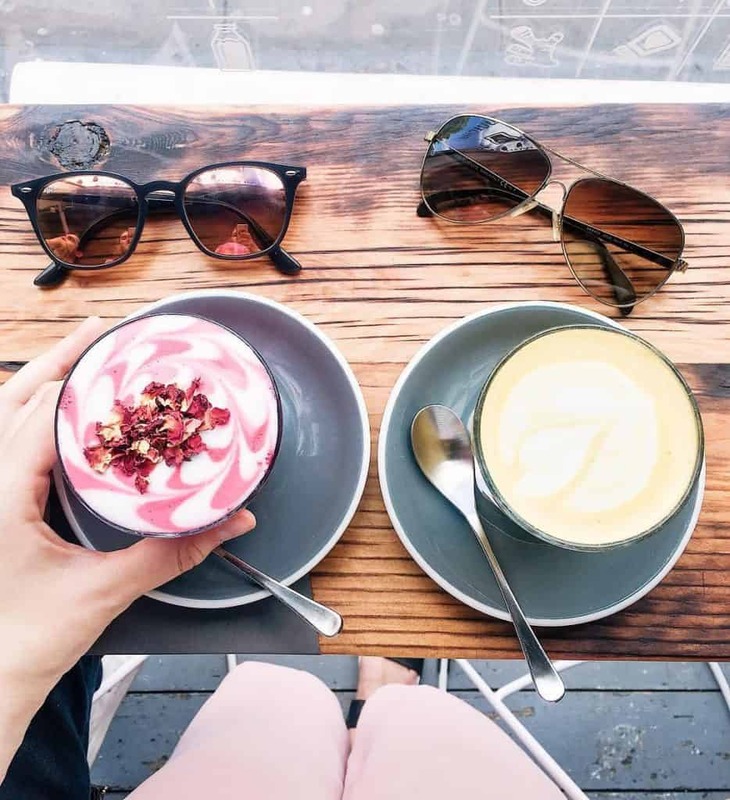 You can be sure, that you will capture only the best photos in all these Instagrammable restaurants in London! 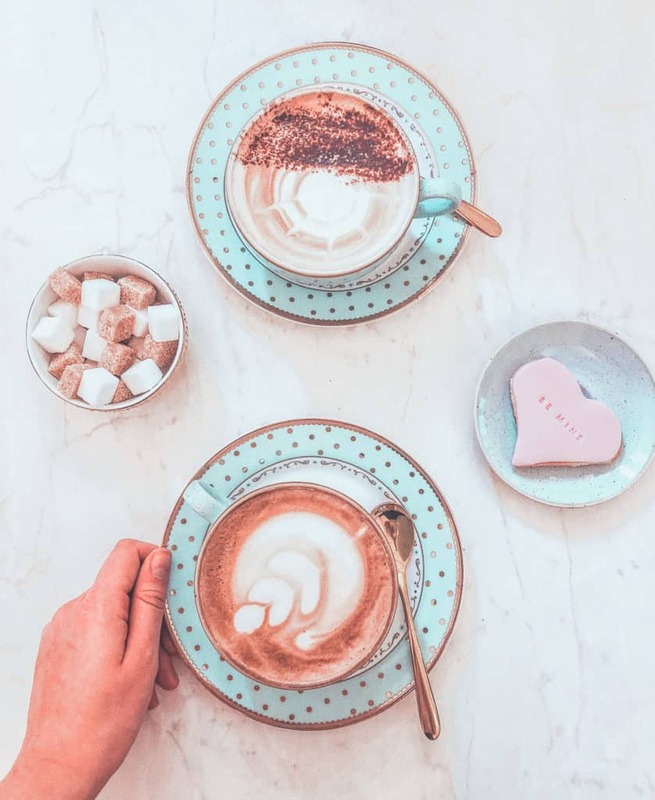 If you’re looking for some really pretty instagrammable spots in London (not only food spots), I’ve got you covered: here’s the post about 20 best photogenic / Instagrammable spots in London. 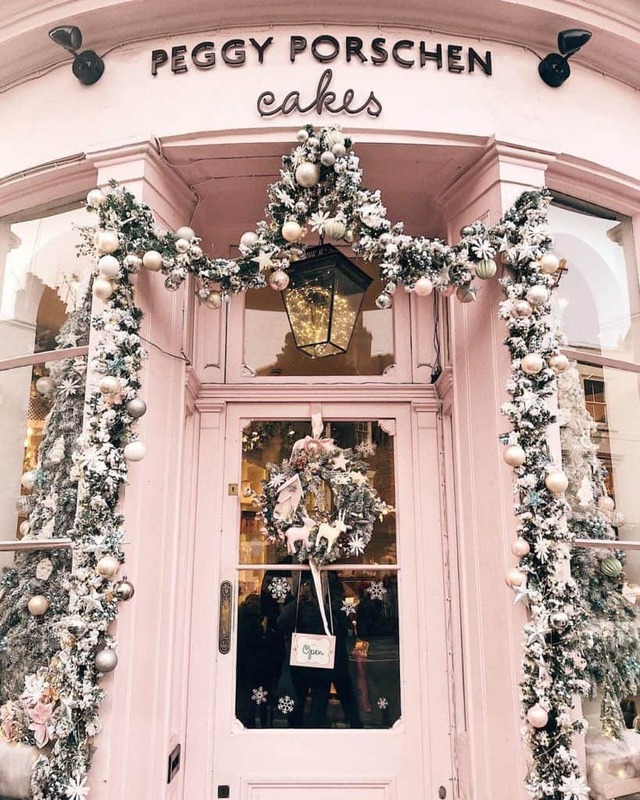 Peggy Porshen is famous for its dreamy door decorations (that they change every season – and for every major holiday) and the most photogenic dishes (if you have a sweet tooth though). If you don’t want to queue, well, your best bet is to come early (10 am or so) during a work week! Peggy Porshen is one of the most photogenic restaurants in London and is located in Belgravia (nearest tube stations – Sloane Square and Victoria). Soft Serve Society is a permanent ice-cream and sundae shop in East London (cool and trendy Shoreditch). 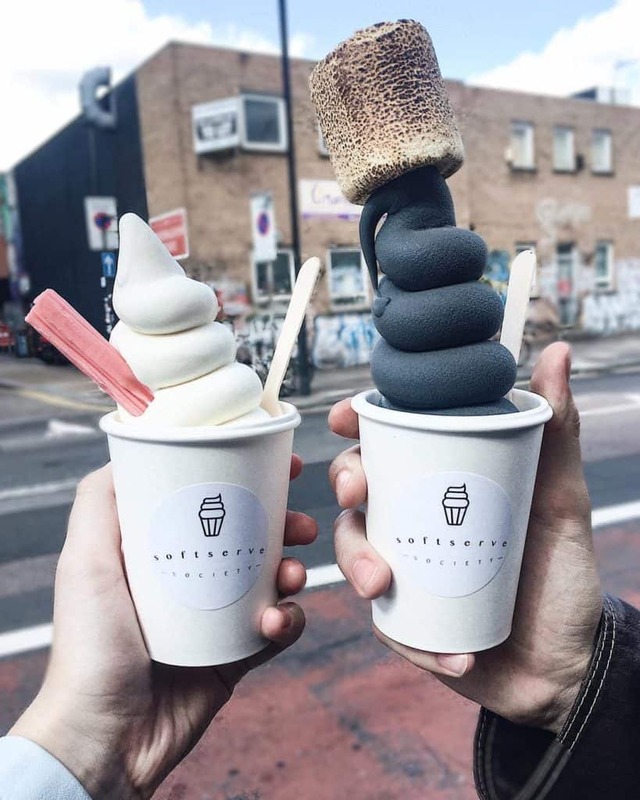 My absolute favourite was the charcoal soft ice cream – not only it was super yummy, but it looked absolutely amazing in the photo (that actually got a bit viral on my Instagram). How to get to the Soft Serve Society: take the tube to Old Street or the Overground to the Shoreditch High Street and walk to the Boxpark Shoreditch. Another of the cool instagrammable ice cream shops in London is Milk Train. It serves quite ordinary ice cream with very extraordinary cotton candy. That makes it look like a giant cloud! You can choose the toppings for your cotton candy and get the exact look you need for a picture! Milk Train is located near Covent Garden. AIDA Shoreditch is not a restaurant, however, it serves some really Instagrammable coffee in London available in 4 different colours. AIDA Shoreditch is located not so far away from the Soft Serve Society [number 2 in this list] (Old Street tube station). Fancy an ice cream that is also a macaron? Yolkin serves some of the most unusual and Instagrammable ice cream in London. I only tried the strawberry one, but it was seriously delicious. Yolkin, one of the most Instagrammable restaurants in London, is located next to the Piccadilly Circus (really, couldn’t be more central) just one street before China Town. Eggbreak is an all-day breakfast place serving food in small colourful dishes. I don’t think there’s need to describe how pretty is Eggbreak – one photo is worth a thousand words! 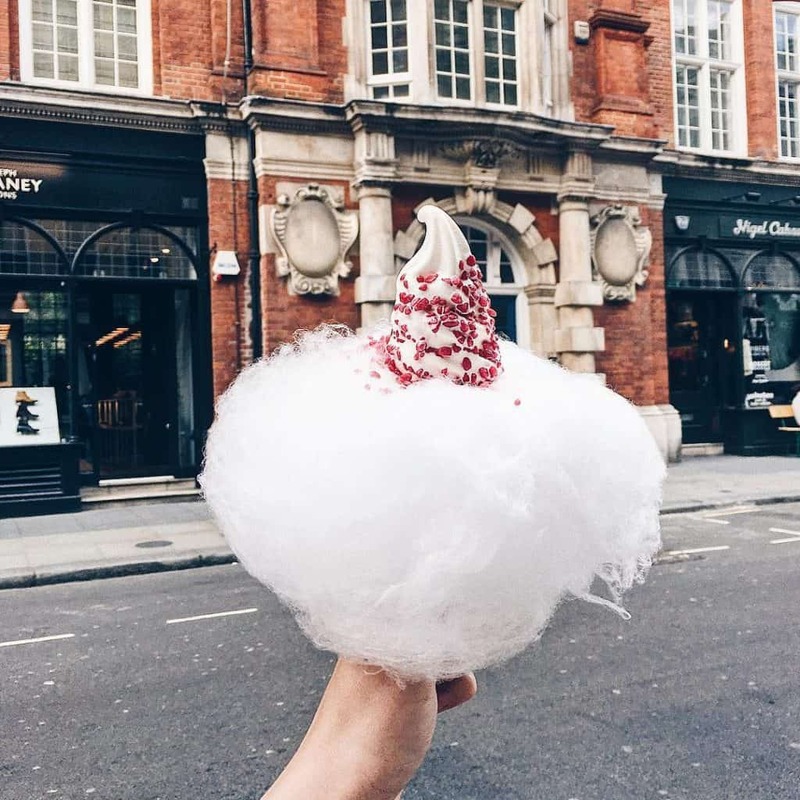 Where to find Eggreak to take some photos of some really Instagrammable food in London? Just a few steps away from Notting Hill Gate tube station. Farm Girl cafe in Notting Hill is the dream of all the Instagrammers – pastel-coloured tables (just outside though), very photogenic dishes. Even the croissants are colourful and pretty there! I wouldn’t say that the food was very delicious, but the pictures from the Farm Girl are great. 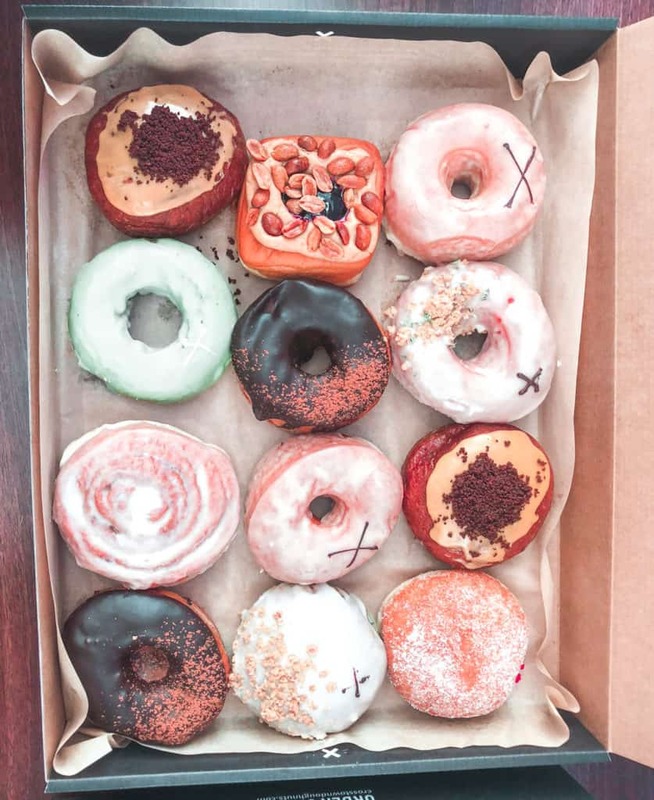 I couldn’t possibly pick just one of the most Instagrammable doughnuts (or doughnuts) in London! Taste-wise I would prefer Doughnut Time, but Crosstown is also great. Nevertheless, both places are Instagram-worthy, so bring your camera when buying a couple of doughnuts, because you can get an excellent shot! One of the newest and the prettiest Instagrammable foodie spots in London is undoubtedly St. Aymes. The location is a bit off-route for most of the people, but folks tend to travel there to get a beautiful photo. Sketch London is slightly on an expensive side, but it’s so worth visiting. 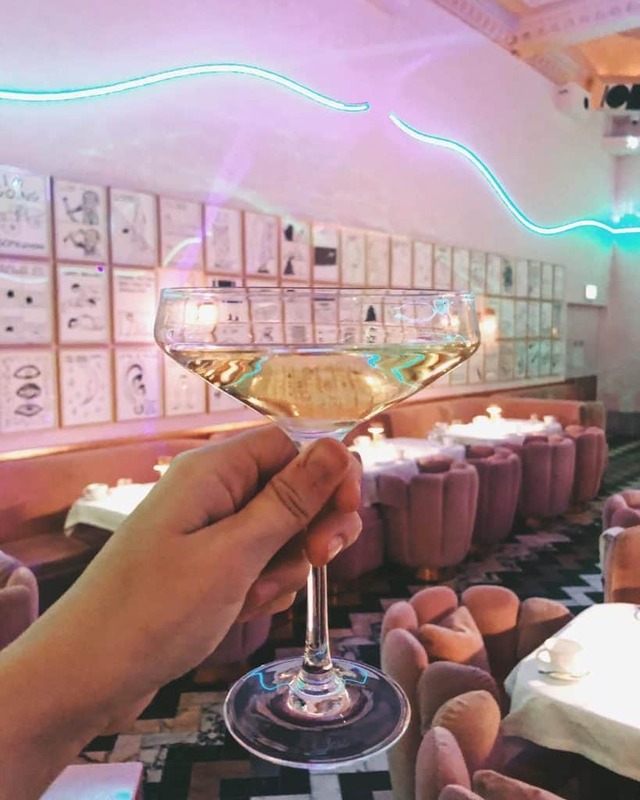 Moreover, sketch is basically the only actual restaurant (not a brunch place or a cafe) on this list of the most instagrammable restaurants in London! I have a separate review of sketch London on the blog (you can read it HERE). I would definitely recommend going to sketch for a breakfast or/and Afternoon tea. And of course, don’t forget to visit the super intagrammable toilet of sketch London. If you’re based in South London and it’s too far for you to go to e.g. Notting Hill for brunch, Flotsam & Jetsam in Balham / Wandsworth is a place to go. Flotsam & Jetsam is a coffee/brunch place with delightful dishes and beautiful interior, however, what made them famous is their unicorn hot chocolate. One of the newest and prettiest openings in London is Feya cafe. 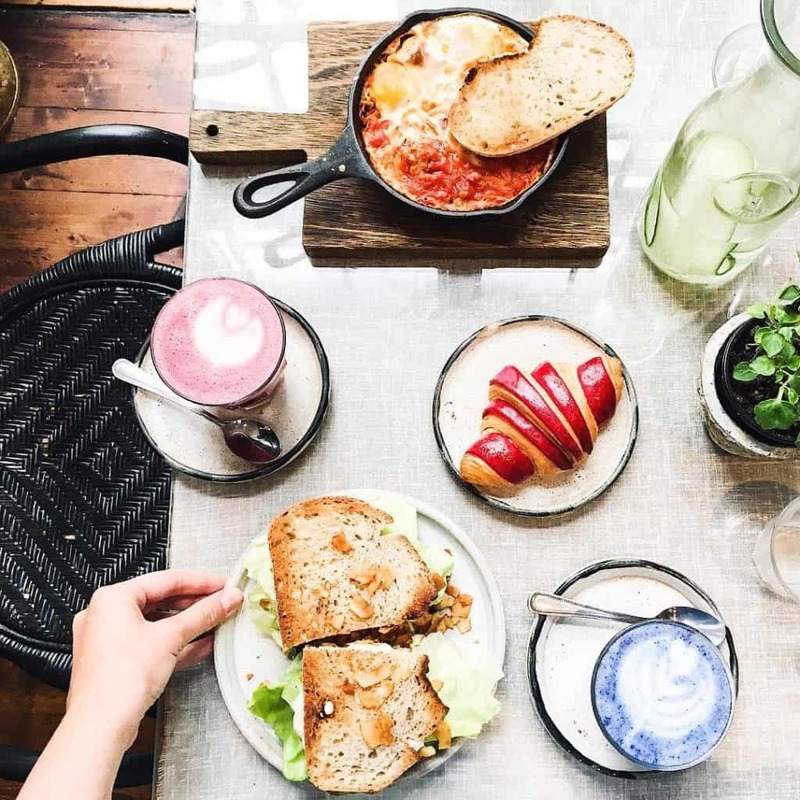 Not only it’s a beautiful and Instagrammable food spot in London, but it also features an impressive menu from a famous Finnish chef who specialises in Insta-worthy dishes! 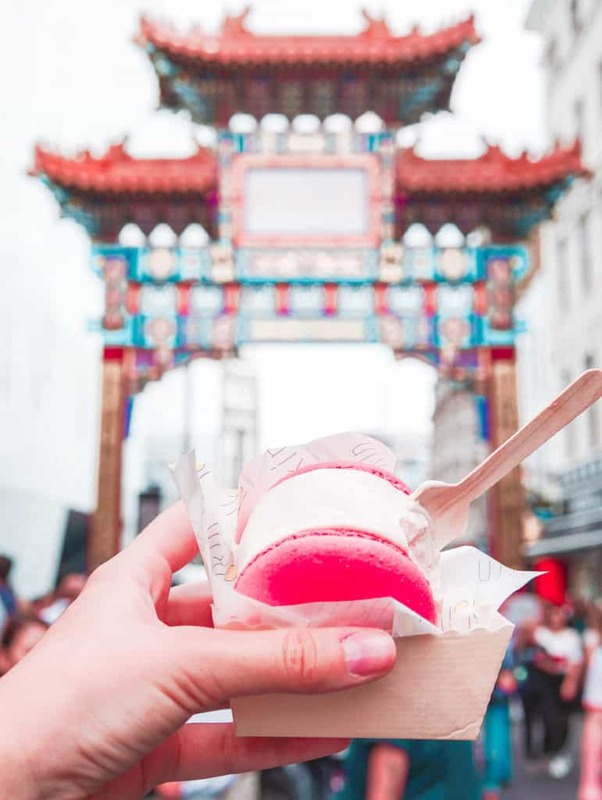 One of the most popular places in China Town in London is the Bubble Wrap place – basically, it’s a bubble waffle filled with ice-cream inside and presented in a wrap. A couple of years it took Instagram by storm, but the queues are still massive there! 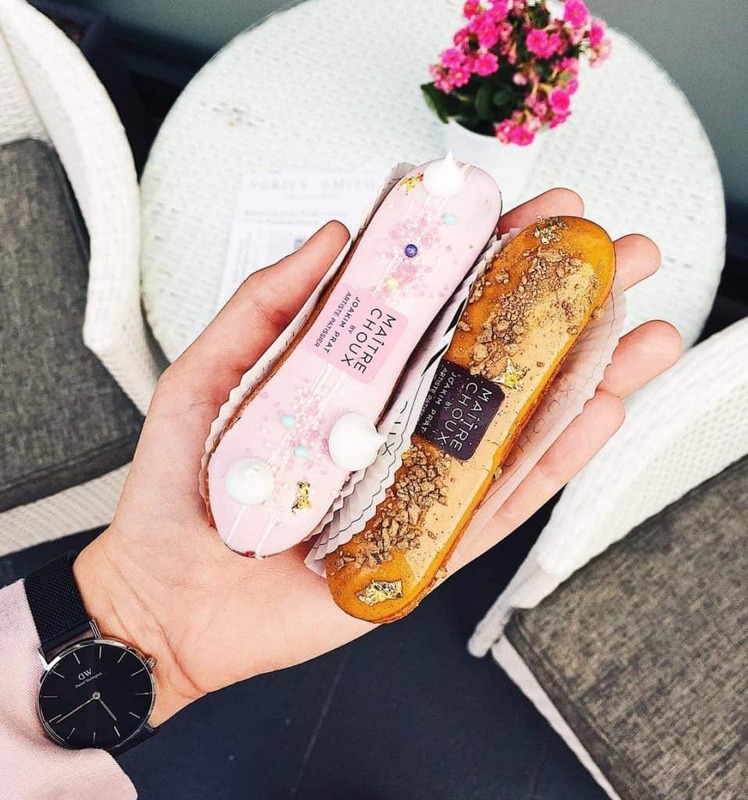 If you’re looking for the most delicious and beautiful eclairs in London, Maitre Choix in South Kensington or Soho (whichever is closer to you), is your place! They are created by a 3-Michelin-starred chef, so no wonder they are so tasty! I tried 5 tastes of eclairs and all of them were great. The only downside – the eclairs are somewhat on a pricey side, and they are quite small as well! 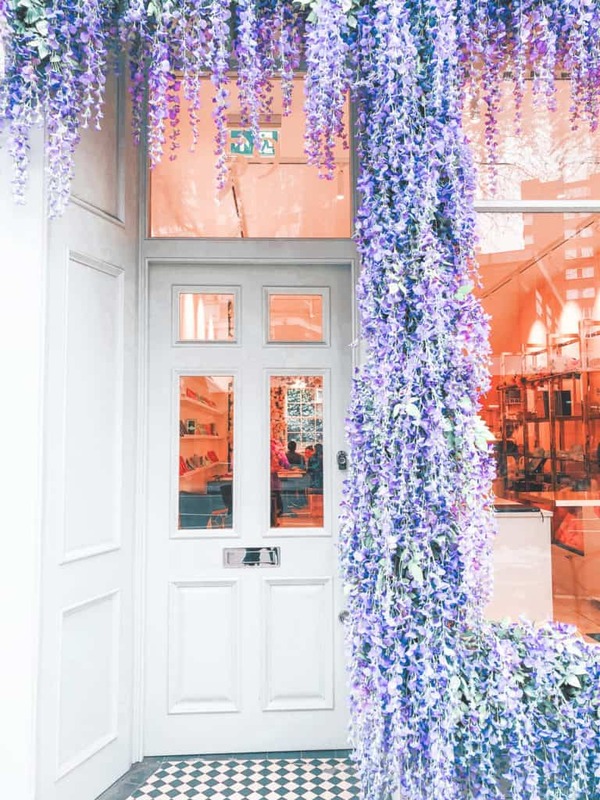 And the last, but not least spot in this list of the most Instagrammable restaurants in London is the famous Elan cafe with a massive flower wall. You would expect it to be an extremely girly place, however, if you stand in the queue for an hour, you can spot groups of men waiting to get there as well! To avoid lines, try to come early on a working day! 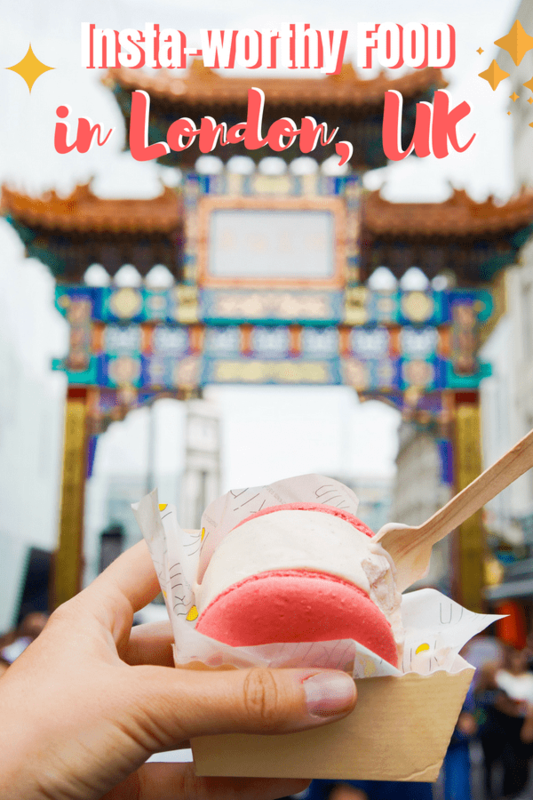 Hope you liked this list of the most Instagrammable foodie spots in London and noted a couple of places, you haven’t heard of before. Loved this post? Share it on Social Media!